Set in the heart of historic Galveston, this comfortable hotel is close to beaches, the historic shopping district and many Galveston attractions. 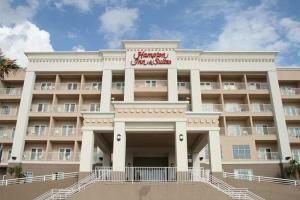 Accommodations include 104 spacious guest rooms and suites. The hotel provides easy access to historical sites like the Ashton Villa, the Moody Mansion, and the Grand 1894 Opera House. Located in Galveston, Texas, about 35 minutes from William P. Hobby Airport.